At the Summary step of the wizard, complete the procedure of the failover plan configuration. Review details for the configured failover plan. 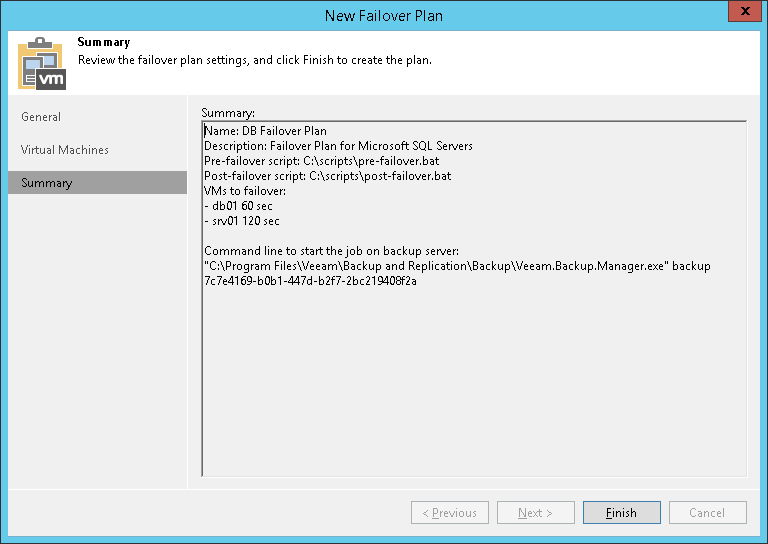 Click Finish to create the failover plan.